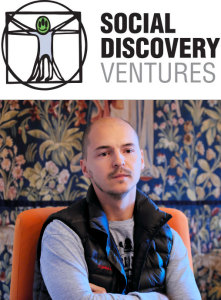 Social Discovery Ventures is an international umbrella brand for a group of technology and software companies, but it’s also a Venture Capital fund that has recently entered the Latvian market with an investment in one of its most promising startups – the drone company AirDog. 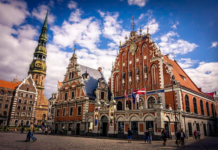 In addition, SD Ventures has just created a new co-working space in the heart of the Old Town Riga that is going to open its doors in September. 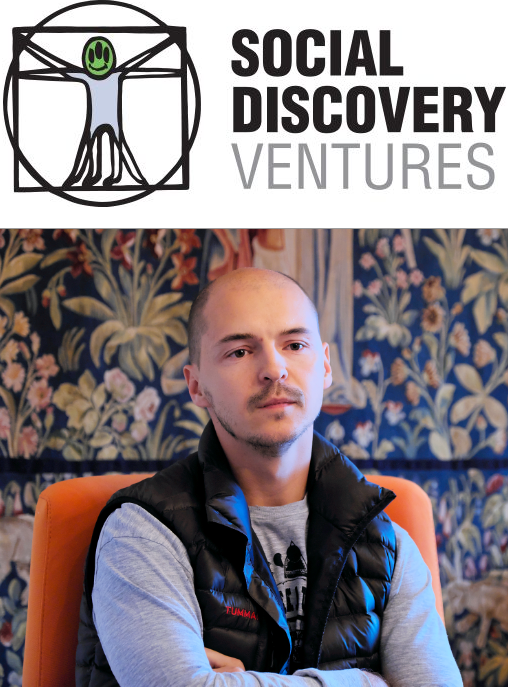 The person behind all of this is Dmitry Volkov – entrepreneur, successful businessman, philosopher and an organizer of philosophical forums. And the list of his interests does not end here. 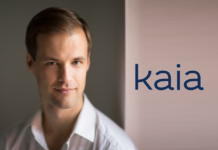 We met with him to talk about SD Venture’s current projects in Latvia, his investment focus and startups. 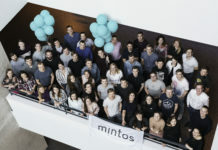 It seems that your plans are serious in Riga – the new office and co-working space is really impressive. Yes, we are generally interested in Latvia. We came to Latvia for several reasons. Latvia is very close. I’m originally from Moscow, and spend some time there, but I live in Malta and New York as well. The flight to Riga from Moscow takes an hour and it is a short ride from the airport. Even getting around Moscow sometimes takes as much time as getting to downtown Riga. A lot of people speak Russian here – it helps some of our employees. It is also much easier to do business in the EU. What startups are you looking for to invest? We have already invested in one startup from Latvia – the company is called Airdog. It’s a drone company. We don’t usually invest in hardware, but this company has interesting social aspect with it. The company has been started by a group of people interested in sports and technology. Airdog is promoting a product that allows people to share their most exciting moments while they are doing something active. Otherwise we mostly invest in social platforms on the internet. That’s interesting, because a lot of people see potential in hardware. Can you comment on that? There are much more constraints in physical reality than in virtual reality or basically software. And there is much more to optimize and develop in virtual reality. Physical processors have certain amount of power – physical limits that impede the development. In software you can grow dramatically. But that’s my subjective point of view; it is more of a mindset. And we understand the software business better. Hardware development requires some other skills. 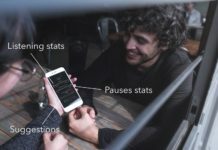 So you think that there is a future for different social platforms? Absolutely! I think that future is in messengers. The general trend is that people spend more time in messengers than they spend even on social networks. We are constantly looking for text messages sent from our relatives and friends. Billions of people are using them. I think that future is in combining messengers with artificial intelligence. It will allow us to create a unified interface. You’ll tell your messenger to buy a ticket. It will ask your preferences – window seat, for example – and you won’t have to log into a special app anymore. You will write that you want to date or meet a person tonight. Messenger is going to be able to set an appointment in your calendar. It would be a unified interface in human language. The market of messenger apps is already crowded. Are you really interested in investing in some new messenger solutions? Messengers are platforms. We will consider investing in particular functions that are going to be built on top of the messengers. It’s unlikely that the new messenger will come. Let’s skip back to SD Ventures. You are one of the co-founders. How did it all start? I started an IT business. I was deeply interested in computers. I learned very fast that I’m not a programmer – I can’t code so well. So I had to hire people to do it. My first projects were in custom ordered software. We were building software for clients. I managed to provide efficient pricing because software developers were inexpensive in Russia and Belorussia. Some of our products turned out to be interesting on their own. We are partners with Microsoft. At some point they asked – we are organizing a competition and we are giving grants to the most promising startups. Do you have any interesting technology? We didn’t plan to spin off any startups but with the encouragement of Microsoft we offered a payment platform for the competition. And we won a grant. That’s how PayOnline started. 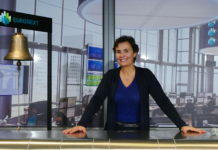 It is now an internet payment service provider that connects banks with payment systems and e-merchants. It became one of the leading IPSP’s in Russia and in Eastern Europe. Recently we sold this company and it keeps expanding. Another spin off was UsabilityLab. It was a spin off from our User experience department. But it was also not planned. We had really good user experience (UX) engineers. At some point I started to notice that after work they were working on external projects. I talked with the manager of department, and we started a new company that was servicing different customers. Two or three years later it was the leading UX company. It is written on your company’s web page that the SD Ventures fund only accepts unique online brands. What does this mean? Everybody is fighting for uniqueness. There is so much diversity, that it’s hard to be different. Many products are very functional and very good, but there are few products that are loved. If your brand has that potential then your company has a bright future. I think that building the brand is a long journey. A brand is like a living being – it’s always changing. Now people or marketers call it – telling the story. There needs to be story behind your brand. You need to tell the world, why it is attractive and why it makes the world better. It is also very important to listen to customer feedback. Marketers should listen to what people say about the brand or the product. You might have a great story, but if nobody understands it then it won’t matter. Overall ot is very important for startups to find a story and visual representation of it. It is crucial for brand development and becoming memorable. Talking about stories – the story of your life is also quite interesting. You seem to have many different interests and passions. Can you name them? Business, philosophy and art – areas which bring me great joy and satisfaction. Business is where I live my public life and enjoy teamwork, see a lot of physical representations of my effort. I was actually thinking about how those things interact. They all allow me to progress all the time and this is what I need. Business is the area where it is easier for me to see results. New business ideas soon become reality, and it is a team effort. In contrast philosophy is mostly a private endeavor. It is an area where I can reflect and think on abstract and complex theories. Sometimes philosophy can be a bit dry and that is where art comes in. Art, music in particular, is a way for me to experience strong emotions, get inspiration, and it often leads me to discover new perspectives. The combination of these three things gives me balance and allows me to procrastinate efficiently. People never do what they supposed to do, and I am one of them. People tend to wait till the very last minute. Sometimes I feel pressed to do something, and then I usually want do something else. Sometimes when I am pressed to work, I do philosophy. Sometimes when I am pressed to do philosophy, I do music. When I need to do music, I often work on business projects. That way even when I am procrastinating, I am doing something productive. That’s one of my tricks.